Terra Cotta Discs provide you with aromatherapy scenting and enjoyment for your personal space. See our Large collection of designs. These are 2 1/8" in diameter by 3/8" thick. Click below (see the bottom) to VIEW ALL the designs. One will be just right for you! Use where you need in a bathroom, bedroom, garage or when traveling. So many uses! These make wonderful gifts all year long. Please See Below (bottom of page) for MORE Information about these wonderful little Diffusers! The easiest and safest way to enjoy aromatherapy is through evaporation. Here you will find a collection of simple yet very effective diffusers to use near your personal space. Your personal space is an area about 4-5 feet in diameter. These handy little diffusers can be used at home, work or even at school. All you do is add essential oils to the diffuser and let the essential oils evaporate and diffuse naturally into the space around you. Within a few minutes you will be receiving the benefits of the essential oils. Although the essential oils will slowly penetrate the air in the room. More of the scent will be concentrated within a small area around your diffuser. The rooms air currents may carry the scent to other areas of the room. To increase the area the essential oils will travel place near a small fan or heating unit. The air movement and heat will quickly diffuse the essential oils into a larger area of the room. You'll need to add more essential oils to your terra cotta disc a little more often but is well worth the effort! 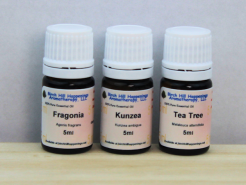 There are several styles to use and don't forget they can be used in bathrooms, closets and other small spaces to provide easy aromatherapy scenting there too. We have Terra Cotta Disc Diffusers that appeal to the all those animal and plant lovers. Several of them are just so cute!! There are sure to be plenty to fit everyone's special likes. And we seem to be getting more choices in each time we restock! Ideally these are used near desks or work areas, or by your comfortable chair while watching TV. Since they are small they are not normally used for room scenting unless the room is small like a closet or a half bath. How many and where are you placing and using them? Please let us know where you are using them and we'll share the locations here! !